The condensation on the inside of units on the right can clearly be seen every winter morning. 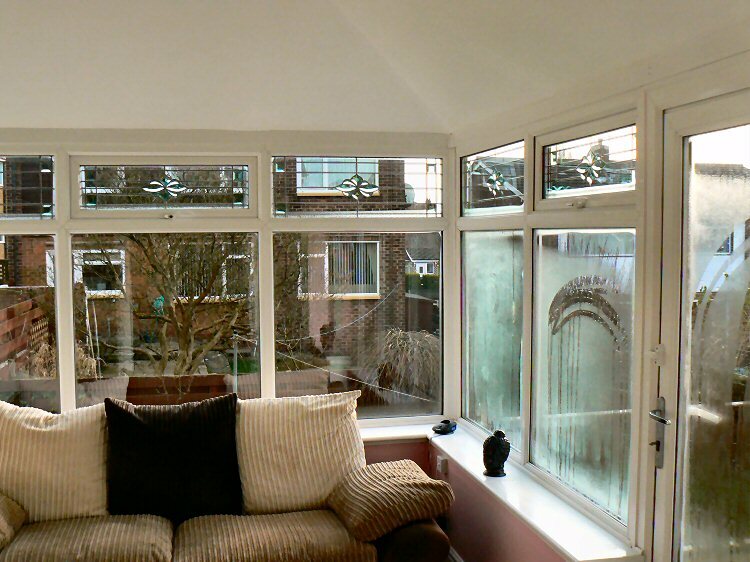 The windows behind the sofa have been replaced with Planitherm A-Rated Energy-Max units. Spot the difference.